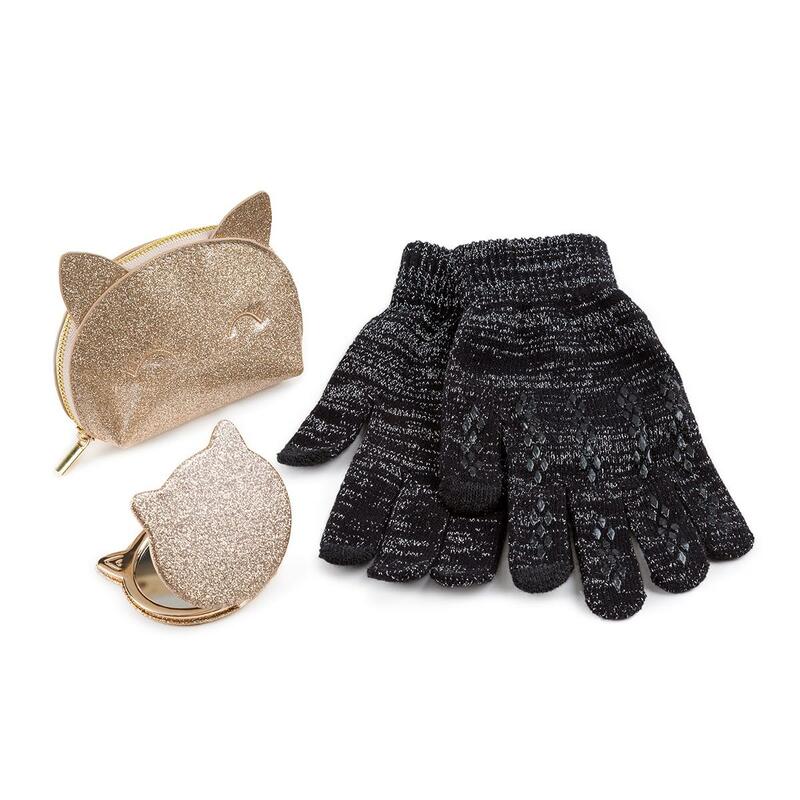 Keep cosy this winter in our sparkle knit gloves with non-slip grip and smarTouch for use with touchscreen devices, complete with a matching metallic purse and mirror set. They're ideal for every stylish accessory lover! Mirror - Wipe glass with cloth to clean. Gloves - Machine washable at 30 degrees. Wash dark colours separately and avoid contact with oil or solvents. Novelty Purse - Do not wash.